The meteor showers discussed below recur each year; in some cases they have been recognized for hundreds of years. The name of the shower in most cases indicates the constellation from which the meteors appear. Also discussed are sporadic rates. 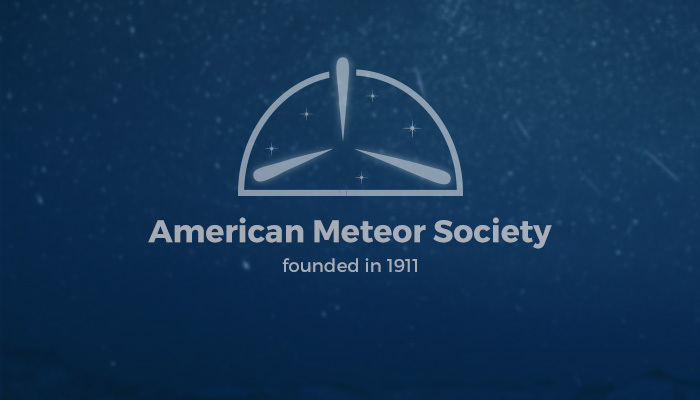 Sporadic meteors are those random meteors not associated with a particular shower; they are the random detritus left over from the creation of the solar system or are old dispersed debris not recognizable today as shower meteors. Click on the shower names (when linked) for more detail on any given shower. For meteor observers, those located in the northern hemisphere have a distinct advantage as shower activity is stronger there than that seen by observers located south of the equator. The reason for this is that most of the major showers have meteors that strike the Earth in areas located far above the equator. As seen from the northern hemisphere these meteors would appear to rain down from high in the sky in all directions. From those situated in the southern hemisphere only a small percentage of this activity is visible. Any activity would appear to travel upwards from radiants located low in the sky. There are a few meteor showers best seen from the southern hemisphere. These would include any radiant with a declination (celestial latitude) below -20 and those that reach maximum activity during the southern hemisphere’s winter months (July-August-September). These showers would include the Alpha Centaurids, Gamma Normids, Pi Puppids, Piscis Austrinids, Delta Aquarids, Alpha Capricornids, Dec Phoenicids, and the Puppid/Velids. The year begins with the intense but brief Quadrantid maximum (January 3/4). Its brevity combined with typically poor winter weather hampers observation. January overall has good meteor rates restricted to the last third of the night. Rates to 20/hour can be obtained. A large number of radiants spread along the ecliptic from Cancer to Virgo. This activity diminishes somewhat in February with the same areas active. Late-night rates are fair in the first half of March, but become poor rather suddenly after mid-March. The very poor rates, seldom reaching 10/hour, continue into early June. However, two major showers appear in this interval. The Lyrids past mid-April (max: April 22/23) raise meteor rates for several nights. The Eta Aquariids (max: May 7/8) enrich late nights of May’s first half, sometimes substantially. February, March, and April evenings have another notable feature. An unusual number of sporadic fireballs come in this interval, possibly one every few nights. June to mid-July has fair rates. The last half of July has rates increasing steadily as the Delta Aquariids (July 29/30) and Alpha Capricornids (July 27-28) have maxima at month’s end. Even the Perseids are beginning to show a little. Overall, late July to mid-August is very rich in meteors. The Perseid maximum, just before mid-August (August 12/13), is fairly prolonged and quite rich. High sporadic activity after midnight continues for the rest of the year, but especially in September and the first half of December. Sporadic rates over 20/hour are possible for this entire interval. September radiants are numerous in Aries and Taurus. Mid-October to mid-December is a nearly continuous period of heavy meteor activity. The Orionids (max: October 21/22) during the second half of October have a prolonged, plateau maximum for several nights, usually rich. The Taurids (max: October 11 for S. Taurids, November 13/14 for N. Taurids), active for two months, are most numerous in November’s first half, and can be rather variable in strength. This period is the best for a couple of Taurid fireballs each night, if the shower is not too weak. The Leonids of mid-November (max: November 17-19) are quite unpredictable, with rich displays occuring roughly every 33 years. The last Leonid storm period occurred from 1998 through 2002. Studies have shown that no Leonid storms will occur in either 2033 or 2066. We will have to wait until 2099 for a return of the activity recently seen during the past few years. Finally the Geminids of mid-December (max: December 13/14) climax the year with the strongest dependable and observable display. Geminid rates usually pass 60-70/hour at maximum. Concurrent activity from Leo and Canis Minor is also notable during the Geminids. Finally, the oft-overlooked Ursids complete the year’s activity, reaching maximum on December 22/23. Nearly half the year’s visual meteor activity is crammed into the two-month interval just described.